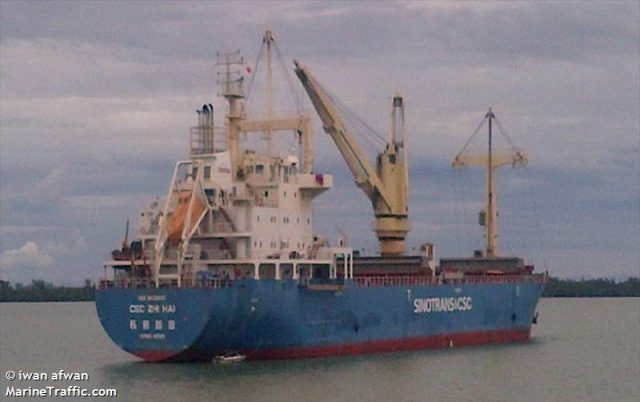 The 125 meter long, 12313 dwt cargo vessel CSC Zhi Hai caught fire while berthed at Changshu, Shanghai, China. A fire started in the cargo hold containing paper pulp. The crew activated the fire suppression system before evacuating the vessel. The carbon dioxide system suppressed the fire in the hold keeping it from spreading further. Authorities waited until the hull had cooled down before inspecting the vessel. No reports of injuries. 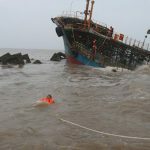 On December 4, the 54 meter long coastal tanker Qi Cheng Xian Feng ran aground and sank near the north dyke of the Yangtze River Estuary. 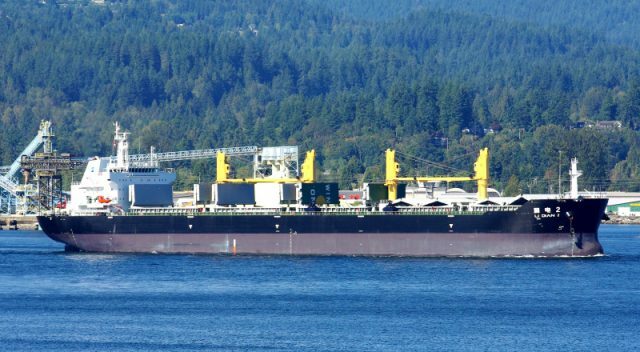 The tanker had run aground at low tide and sustained multiple hull breaches. With the rising tide, the Qi Cheng Xian Feng later sank by the stern. 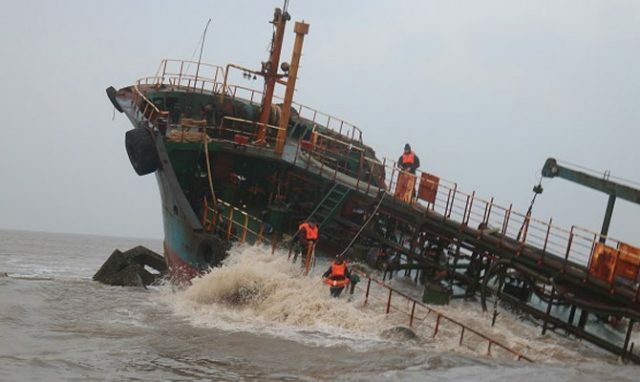 All 9 crew on board were able to abandon ship and rescued by authorities. No reports of injuries. No reports if the Qi Cheng Xian Feng has released any pollution. 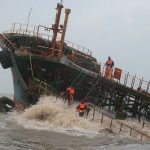 The 55 meter long coaster cargo vessel Lu Di 67 collided with the 190 meter, 56928 dwt bulk carrier Li Dian 2 in the Waigaoqiao Channel, Shanghai, China. The Lu Di 67 was struck by the Li Dian 2 resulting in hull breach and uncontrolled water ingress. The crew quickly abandoned ship into the canal before the Lu Di 67 sank. Seven crew were later rescued from the water by patrol boats. One crewman was reported as missing. Authorities report some pollution was seen near the incident site.